Don’t you love it when things happen in three’s, and you think it may be “a sign” of some kind? Well, I guess if it’s a good thing, you love it. If it’s a bad thing, probably not. Anyway, three Hemp things happened to me this week, and I’m taking it as a sign I need to incorporate the hemp plant into my healthy lifestyle. See that link for benefits of hemp protein. (as an aside, buying anything hemp always makes me smile sheepishly because of what hemp can be used for. But keep in mind, it is only a PLANT, which can be used by man for many different purposes, good and bad, like anything else on this earth Gen 1:29-30). This post is ONLY about hemp as a plant and a protein source. 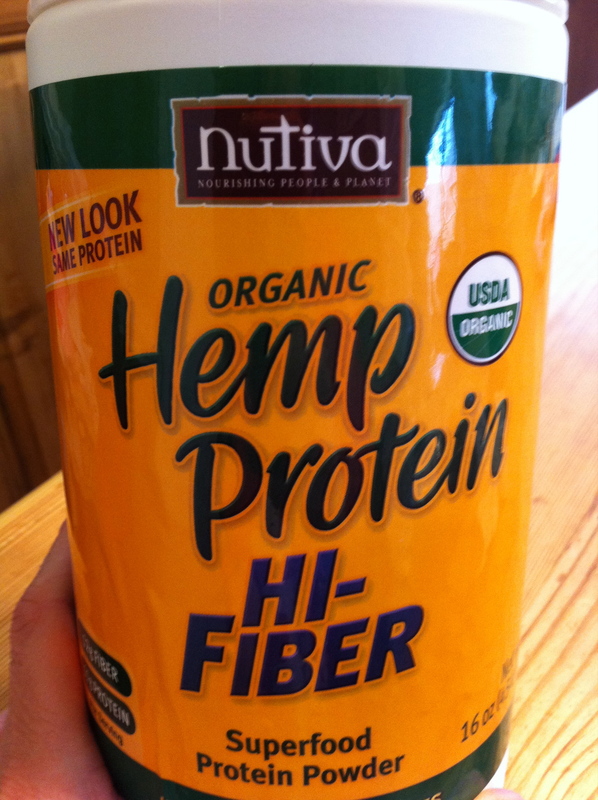 First, I went to the health food store and the only protein mix I could find (that was acceptable on every point; I had a long list that day) was the Nutiva Hemp Protein Mix. I bought it for the first time, after some unusual circumstances I won’t bore you with here. The more Nutiva products I try, the more I love them. Second, my Maximized Living webinar that same week included a Shopping List, that raved about the advantages of Hemp Protein. That was something I had never read from ML before. I started “thinking twice” about it……. So, maybe this series of events could be called the Trifecta Effect. These three signs were leading me towards hemp protein. Maybe my body needs this protein source. The Lord works in mysterious ways, so it’s always a possibility I guess. Or maybe not. I had it in my smoothie for the first time today. (no picture because it’s not pretty when the green hemp and brown cocoa make a “sludge” color) I put cocoa in it, so the chocolate covered the hemp taste, so I can’t say if it had much flavor. Not that I wanted it to. I want to taste all the other stuff, not the protein. It did make me feel very happy shortly afterwards though. Just kidding! I may be using it to make some hemp protein bars this weekend. Let me know if any of you try it, and what you think about it. This entry was posted in Smoothies, what to buy and tagged breakfast, Health, Hemp, hemp plant, nutiva hemp protein, Protein, smoothies by OrganicEater. Bookmark the permalink.